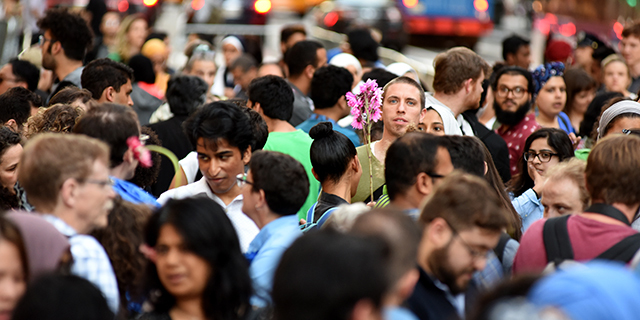 A majority of Americans continue to say the United States is a better place to live as a result of its growing racial and ethnic diversity. About eight-in-ten adults with postgraduate degrees (81%) say growing diversity makes the country a better place to live. Smaller, though sizable, majorities of college graduates (70%) and those with some college experience (61%) say the same. 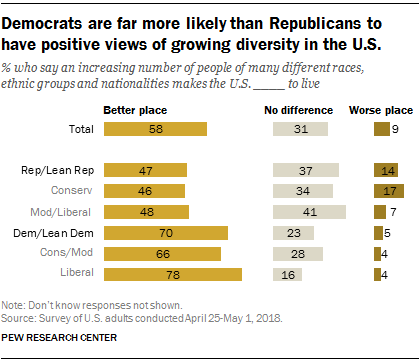 Among those with a high school degree or less education, attitudes are divided: While 45% say growing diversity makes the country a better place, 42% say it doesn’t make much difference and 11% say it makes the country worse.